This document includes specifics of the SurveyResponse return for all fields in SurveyGizmo that collect data, including all question types, other textboxes, other row headers and comment fields. IDs and reporting values are essential for identifying survey response data; the Survey Legend will be your friend in this process. Text fields and single-select questions have the same return, which includes the question ID and the response. The response will be the reporting value, in the case of single-select questions, or the text that was entered by the respondent in the case of text fields. Text fields and single-select questions include: Radio Buttons, Dropdown Menu, Textbox, Essay, Email, Date, Slider, Net Promoter Score®, Rating, Number, Percent, Image Select (select one). In addition, all of these question types, when part of a Custom Group or Contact Form, return in the same format; learn more. The Radio Button Grid is a series of Radio Button questions where each row is a question. Each row has its own question ID and the response will be the reporting value. Multi-select questions, which includes Checkboxes and Image Select (multi select), will return multiple fields. Think of each answer option as a separate question where the answer can be selected or unselected. The return includes the question ID, the option SKU and the response. The response will be the reporting value. If the option was not selected the response will be empty. The Checkbox Grid is a series of Checkbox questions where each row is a question. Because checkbox questions are multi-select questions each answer option is treated as a separate question where the answer can be selected or unselected. For this reason, the Checkbox Grid returns rows x columns elements that can be identified by the question ID (row) and the option SKU (column) combination. The response will be the reporting value. For example, a Checkbox Grid with 3 rows and 3 columns will out put 9 fields. The Star Rating Grid returns rows x columns elements that can be identified by the question ID (row) and the option SKU (column) combination. The response will be the count of stars selected. Ranking questions, both the Drag & Drop Ranking and the Ranking Grid, will return an element per row with the question ID, the option SKU, and the response. The response is the numeric rating selected for that option. 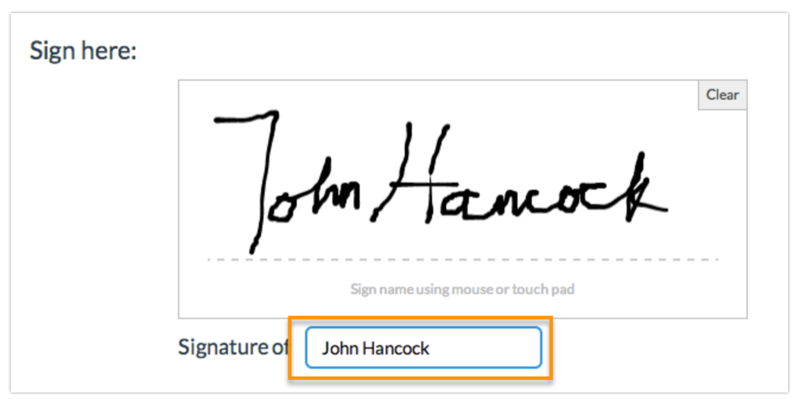 The typed text from the Signature question is available via the API. The response will be the text that was entered by the respondent. The Dropdown Menu List is a series of Dropdown Menu questions where each row is a question. Each row has its own question ID and the response will be the reporting value of the option selected by the respondent. Textbox List questions will return an element per row with the question ID, the option SKU, and the response. The response will be the text that was entered by the respondent. The Continuous Sum will return an element per row with the question ID, the option SKU, and the response. The response will be the value that was entered by the respondent. The Slider List is a series of Slider questions where each row is a question. The return will include the question ID, the option SKU for the row, and the response, which is the value selected by the respondent. The Cascading Dropdown Menu will return an element per menu with the question ID, the option SKU, and the response. The response will be the option that was selected by the respondent. The Dropdown Menu Grid returns rows x columns elements that can be identified by the question ID (row) and the option SKU (column) combination. The response will be the option the respondent selected. The Textbox Grid returns rows x columns elements that can be identified by the question ID (row) and the option SKU (column) combination. The response will be the text the respondent entered. In the SurveyResponse return for the Max Diff question type, the values assigned to each attribute based on how that individual respondent ranked the values are exported. They range from 0 to 100. These values are not used in computing the aggregate bayesian average and rank order you see in the Summary Reports. Think of these as a snapshot of the rank order for that response alone. To learn more about this check out our Max Diff Tutorial. All Contact Form and Custom Group subquestions, the fields that actually collect data, have their own IDs and return as they would if they were not part of a grouping. Custom Table data is unique in many ways. First, unlike other grid questions, where the rows are the subquestions, in custom tables, the columns are the subquestions. Each column of a Custom Table has its own question ID. Custom Tables also make use of our piping functionality to create the fields in the cells of each row. Custom Table Radio Button and Dropdown Menus will return a field per row. Each field returned will include the subquestion ID (column), the row it was piped for, and the response. The response is the Radio Button or Dropdown Menu option selected. Custom Table Checkbox questions return number of rows x number of option elements. Think of each answer option as a separate question where the answer can be selected or unselected. The return includes the question ID for the subquestion, the option SKU, the row header from the Custom Table, and the response. The response will be option selected. Custom Table Essay and Textbox fields will return a field per row +1. The first returned field will be empty. The second and later elements will include the question ID for the subquestion, the row header from the Custom Table, and the response. The response will be the text that was entered by the respondent. Other Textboxes can be added to both Radio Button and Checkbox questions. The return will include two elements. The first element will be for the selected option. The return will include the question ID and the response, which is a reporting value. The second element will include the question ID, the option sku, and the response, which is the text the respondent entered in the text field. Other row headers will return the question ID, the text the survey respondent entered in the other row text field, and grid response. Comments can be added to any question within the survey. They will appear at the bottom of the SurveyResponse return and will have an ID that corresponds to the question ID with which it is associated.